Sarnia Park is the awesome location for Leanne Shultz's wedding in January 2015. The grounds are stunning and no matter what the time of year there is something in flower or featuring. 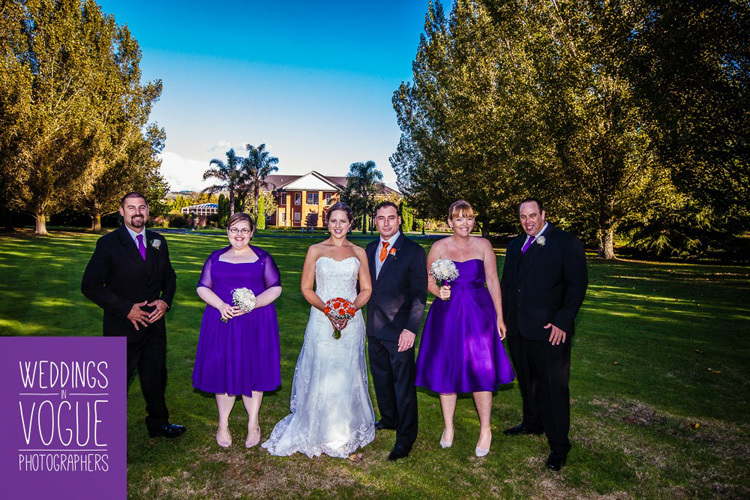 Leanne chose the Maggie Sottero Emma and had her shoes dyed orange to complement her purple and orange colour palette.